The integration of HEPA (High Efficiency Particulate Arresting) Air Purifier Filters in the Honeywell Store provides a wealth of enhanced and highly optimized solutions for cleansing any surrounding area of particles detrimental to one's health. 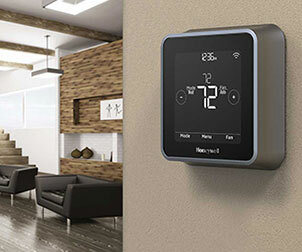 Honeywell HEPA Air Purifier Filters operate by forcing air through a meticulously constructed mesh. This mesh is capable of entrapping a collection of harmful particles such as pollen, pet dander, dust mites and tobacco smoke. All Honeywell HEPA Filters must surpass a series of industry standards to even qualify as a genuine HEPA filter. This would include all Honeywell HEPA Filters having the capacity for removing 99.97% of airborne particles that pass through the filter. All Honeywell HEPA Air Purifier Filters are also required to capture particles that measure 0.3 micrometers and larger. The sum of these features ensures an optimal breathing experience for anyone utilizing a Honeywell HEPA Air Purifier Filter in the surrounding area. 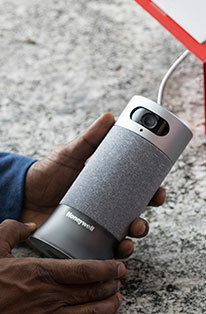 The Honeywell Store features an expanded collection of HEPA Air Purifier Filters that incorporate the aforementioned features. The Honeywell True HEPA Filter Value Combo Pack includes a pre-filter that carries the additional strength of reducing common household odors, while capturing larger particles such as dust, lint, fibers and pet fur. This package includes 2 HEPA HRF-R1 'R' Replacement Filters and 1 HRF-AP1 Universal Carbon Pre-Filter. The inclusion of the Honeywell Filter N True HEPA Replacement Filter - 2 Pack is another filtering addition that excels in the removal of microscopic allergens such as mold spores, dust, pollen and pet dander. This selection of TRUE HEPA Replacement Filters is compatible with most Honeywell Tower and Tabletop Air Purifiers such as the Honeywell True HEPA 5-in-1, UV Tower Air Purifier and Honeywell HEPAClean Germ Fighting Air Purifier with Odor Reduction. Honeywell Air Purifiers are also held to a similar degree of excellence in the preservation of surrounding air. A large selection of Honeywell Air Purifiers qualifies as being AHAM (Association of Home Appliance Manufacturers) certified. 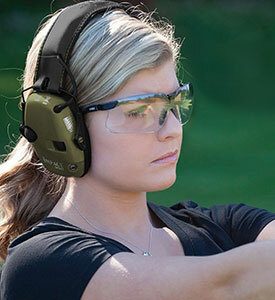 AHAM certification entails elite performance in the capturing of tobacco smoke, dust and pollen. AHAM certified Air Purifiers are thoroughly tested to ensure maximum efficiency in the disposal of these harmful allergens. The Honeywell True HEPA Whole Room Air Purifier with Allergen Remover is an AHAM certified device that's capable of capturing 99.97% of microscopic allergens from the surrounding air. This Honeywell Air Purifier also includes a carbon pre-filter that works tremendously well in the elimination of particular airborne germs. Additional Air Purifiers such as the Honeywell True HEPA Tower Allergen Remover utilize a compact design that's capable of circulating air up to 5 times an hour in rooms as large as 170 feet. 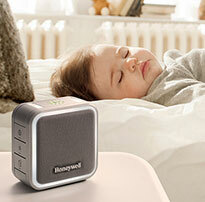 The Honeywell Store offers an excellent combination of HEPA Air Purifier Filters and AHAM Air Purifiers. When it comes to the preservation of clean and hospitable breathing air, one can readily depend on the Honeywell brand to deliver on all counts.